In every art market in Lombok Indonesia, you will always find a long mask with no expression. The ‘cold mask‘ is a work of Labuapi craftsman. 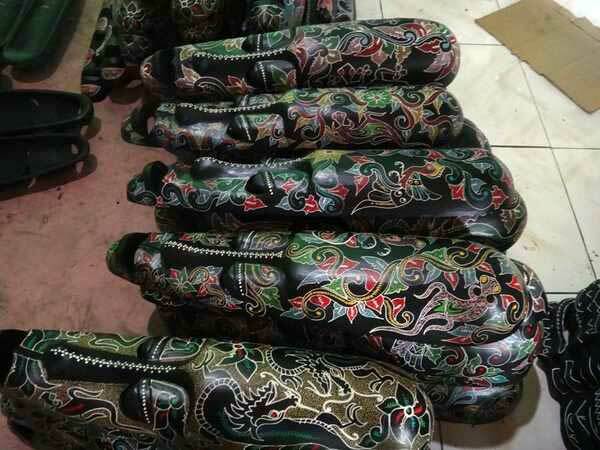 But there are many other things that are produced by the villagers, such as statue, fruit bowl, tray, and wall decoration. All of them are made from wood and decorated by sea shell (cukli). If you want to buy something straightly from the craftsman, or merely see the making process, come to Labuapi village. The craftsmen in this village are welcome to visitors even just to take a picture of this Lombok mask. You can see how they decorate the material, or how they paint the material and varnish it till it gets glossy look. The materials are not coming from this village but they imported from other region. 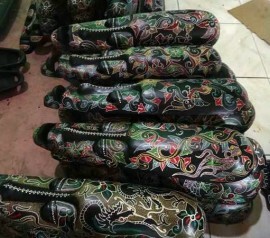 Such as the sea shell, the Labuapi villager imported it from Lendang Re small village which is a centre of cukli, while the mask material is coming from Sesaot village. 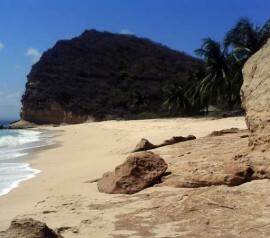 In the past, the material used for the handicrafts is made from mahogany wood. But since mahogany wood starts hard to find, they replace it with mango, jackfruit, or lengkeng wood (a type of tree originally from China with a brown colored fruit and wood). 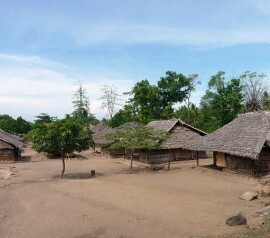 Labuapi village became a wood handicraft centre since 1995. When economic crisis struck in 1998, this industry was not disturbed; even it reached the peak at this period. 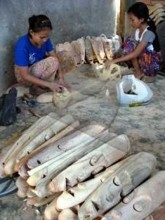 The craftsmen usually market their product through agents in Bali. 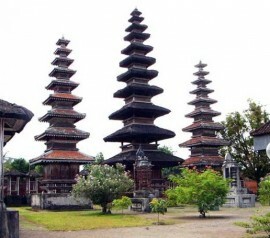 Beside sold to the visitors who visit Bali, it also exported abroad. 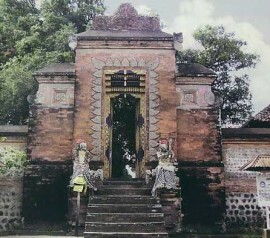 This village is about 11 km from Mataram city. If you use personal car, you can reach it through the road which headed to Lembar harbor. 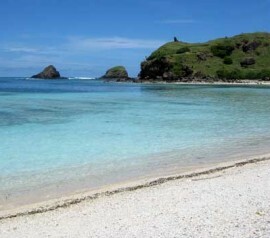 There are no signs for this village, that is why try to ask if you have reached 10 km from Mataram. You can also take public transportation. You have to take public transportation with route Mataram-Cakranegara and continue by route Cakranegara-Gerung, to get to Labuapi village. 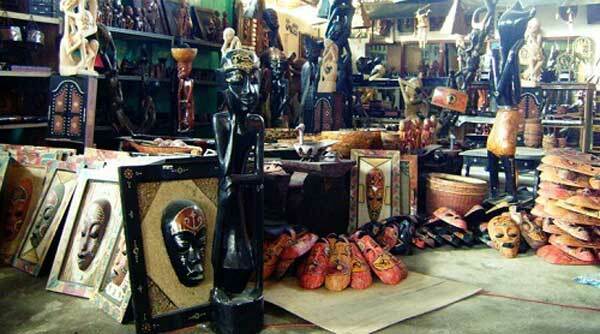 Once you get to Labuapi village, you will find many art shops selling handicrafts products. According to a local people, there are nine art shops in this village which most of them is in village’s alleys. 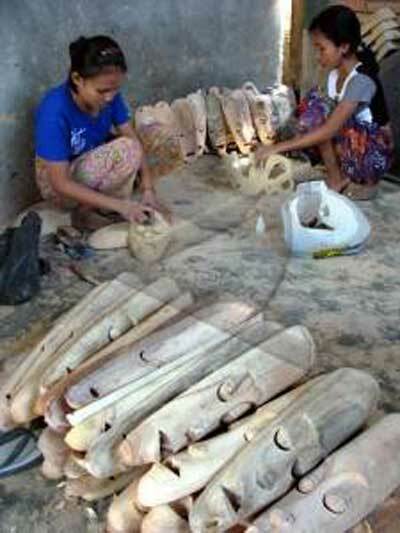 Before the Bali bombing in 2001, there are approximately 50 craftsmen in Labuapi village. But the amount was continue to decrease since there wasn’t any order, either it domestic, or export. Now, the craftsmen are only in hundreds of people. Public Facilities: parking area in major art shops.